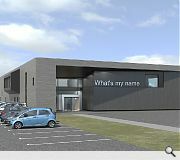 An Archial Norr designed leisure centre has gone in for planning at South Ayrshire Council, an important step on the road to delivering the first new leisure facility in the local authority area in nearly two decades. 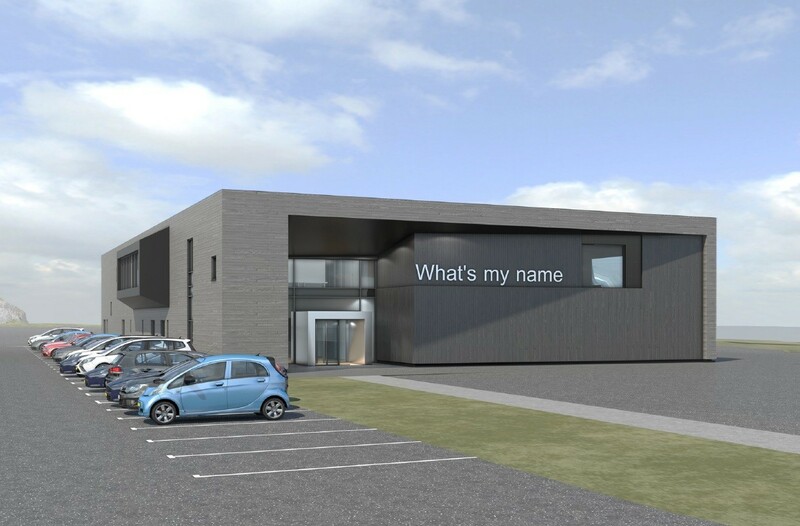 Budgeted at £5m the Girvan Leisure Centre will incorporate a 25m pool, play area, gym, community space and café offering views across to Ailsa Craig. Clad in stained black timber and glazing the structure extends in a ‘hood’ over entrances to the east and west elevations which are indented slightly. A solid angled wall to the eastern faced protects changing rooms with the upper floor incorporating a large window for the benefit of gym users whilst the western façade takes the form of a solid expanse of curtain walling to maximise views. In their design statement the architects observed: “The building is fundamentally a simple rectangular box, with indentations at the eastern and western ends which signify the buildings entrances. 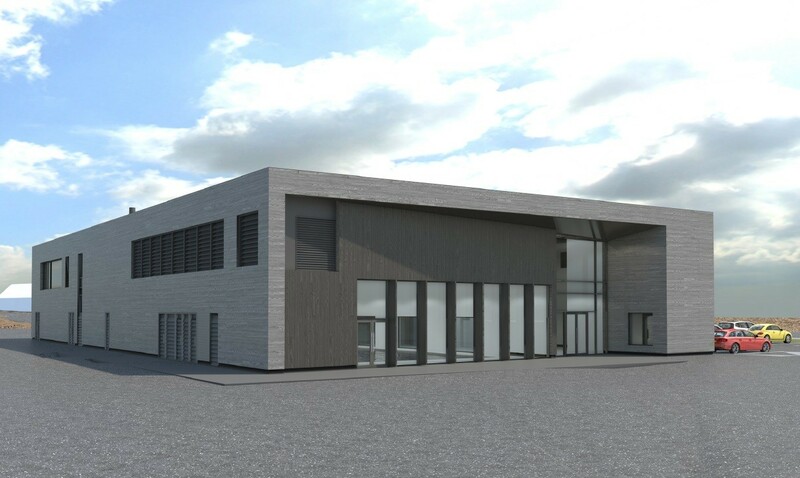 A decision on the application is expected by the end of September, if successful this could see the centre open its doors by March 2017. The second render has the words 'what's my name' on it. I'll tell ye whit yer name is: UGLY. And yep, you ain't got no alibi. It's a soulless box overlooking a stunning natural site of world significance. It's drab. The concrete modernist brigade strike again -- what have you lot got against beauty? This is terrible. Archial Norr, when you read this know that unlike all the brainwashed lefties here who think something boxy and bland equates to 'poetic beauty', I think you have produced something mind bogginly UGLY. "Irony Bypass 'A Complete Success' "
This has all the exquisite charm of a V2 rocket assembly plant of c.1944. Something, is clearly rotten with the underlying classical form here, not to mention the witless romanticism of the appliqué post-post-modern irony. I totally agree with the much-berated BC on this one. There is an industrialised spectre haunting architecture. The rarified world of corporate commercial architecture and the practice and products of it, in the main (with notable exceptions), barely merit the description of architecture at all. Practice is chiefly concerned with viability and profit. It would not exist otherwise. It is not concerned with the art and craft of making architecture. As part of the industrial complex, commercial architecture is concerned with the assembly of components into a unitised structure and the insertion of this into the built environment. This is often what is referred to as 'ugly'. Recent examples of this 'ugliness' are found in BAM in Queen Street, Michael Laird's office building in Bothwell Street (with risible concessions made to bureaucracy as if they have any idea what the issues are). Architecture has to concern itself primarily with 'making', otherwise it will just be the embodiment of ugliness and no amount of sophisticated spin or semantics will alter that. me-thinks someone submitted the wrong render to UR. I'm sure that is meant to say something a little less abstract, like "GIRVAN LEISURE CENTRE" or some such. I'd like to see a little mor econtext. granted, you can just see Ailsa Craig in the corner of Image 2; othe rthan this, it could be on the great Canadian plains.. I don't think the stained black timber is a bad idea, however, can you (the architect) try and celebrate the form a little bit more? 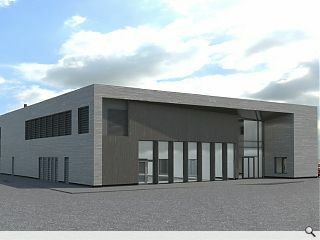 the front elevation (the entrance I suppose) and the rear elevation are not good, sorry. The side service elevations, on the other hand are quite ok. I see something of a resemblance to the national museum of rural the life - which is not a bad thing but please work on the form+entrance/threshold point...make the building narrower and longer, a landmark that can be distinguished and can challange the visitor by somehting but a something at least!